Sgt. 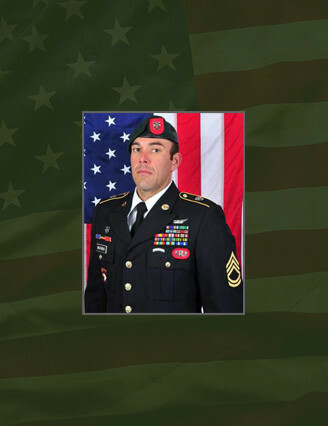 1st Class Andrew Tarrant Weathers was assigned to 2nd Battalion, 7th SFG (A) when he died as a result of a gunshot wound he sustained while conducting combat operations in Afghanistan, Sept. 30, 2014. Weathers, a native of Crestview, Fla., joined the Army in January 2003 and attended basic training at Fort Knox, Ky. He then attended advanced individual training at Fort Eustis, Va., and graduated as a CH-47 Chinook helicopter repairer. He was stationed at Fort Campbell, Ky., and assigned to the 101st Combat Aviation Brigade. Weathers deployed twice with the 101st CAB, first to Iraq in 2005 as a crew chief and to Afghanistan in 2008 as a Flight Engineer. Weathers volunteered for Special Forces in 2010, graduating as a Special Forces medical sergeant and earning his Green Beret. He was assigned to the 4th Battalion of the 7th SFG (A) in 2012 and then to the group’s 2nd Battalion in 2014. He is survived by his parents, Michael and Jere Weathers of Pollock, La., and a brother, Dusten and sister, Carrie.